Shana's Art Room : Super Mario Forever! The connections teachers at my school are amazing. 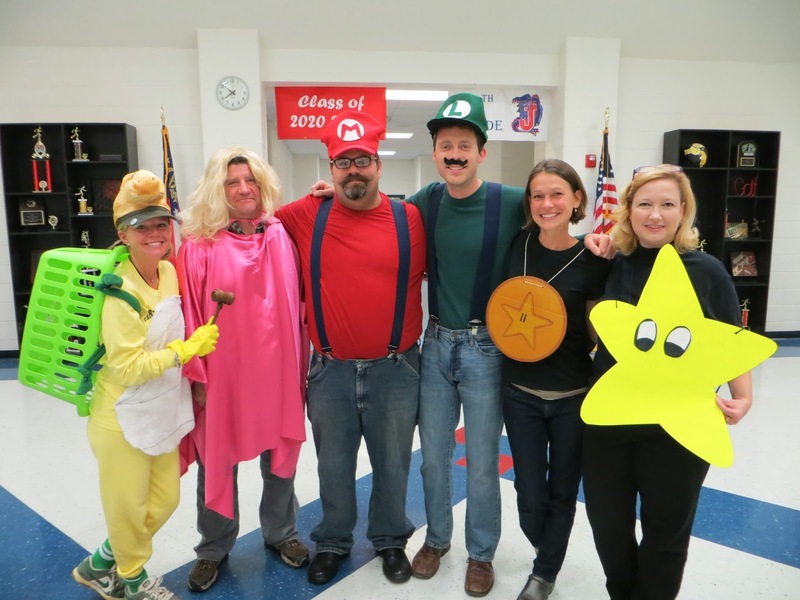 We dressed up as Mario, Luigi, Princess Peach, the mushroom, the gold coin, and the star. We had a great time and the kids got a good laugh.